This is the fourth year the Orange Elks and the Orange County District Attorney’s Office have worked together on the O C GRIP’s Soccer Camp. GRIP (Gang Reduction Intervention Partnership) is a program for kids in schools that are at-risk for gang violence. Helping keep the at-risk kids out of gangs is the goal. 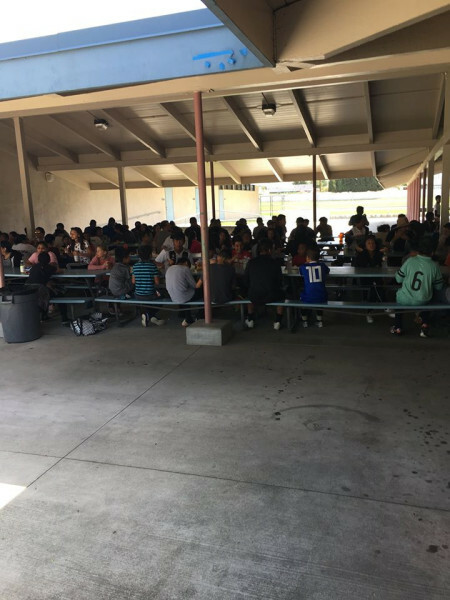 The GRIP kids are between 8 and 12 years old, they are pre-selected to participate in the program, they can be struggling in the classroom, can have poor attendance, can have behavioral issues and cab have truancy issues. The program is free to the kids. The neighborhoods these kids live in are heavily influenced by criminal street gangs and the kids are in constant fear of random violence and crimes that are committed by the gang members. The kids can be terrorized by gang members and usually have low self-confidence or limited hope for their futures. GRIP wants to make a commitment to change their lives! Once in the program, the kids make and set goals and must show improvement to stay in the program. This soccer camp helps the kids escape this. The Orange Elk’s Drug Awareness committee provided a lunch for the Soccer Camp. 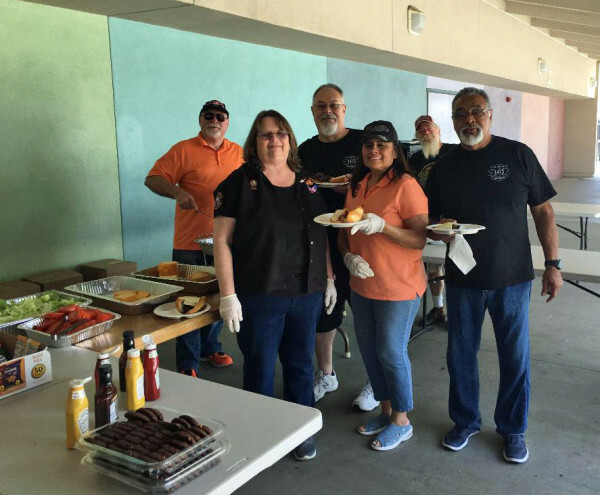 Fifteen Orange Elks prepared and served lunch to the one hundred and twenty participants and fifty volunteers. The lunch included burgers, cheese steaks, chips, cookies and beverages. The leftovers were promptly delivered to the Youth Centers of Orange to supplement their program. Because the Orange Elks Care and Share, being involved in our community giving we made a difference to these kids.